One of the courses I am delivering at the College where I work comprises of Engineering and Electronics (ICE). The ICE students on this course are into their second year of having me as their tutor and so far they have developed skills in MIG, MMA and TIG Welding, Metal craft and Fabrication, Plasma arc cutting, Sheet metal and are currently focusing on Electronics. So far my students have built basic soldered circuits using boards, resistors, diodes, and LEDs, as well as Morse keys which work with buzzers. The students have also been learning about amateur radio and responded well to sending messages to each other in Morse on their home brew kits. Over the past few weeks they have come on very well with their soldering ability and have moved onto the final project which is a Digital FM receiver. The FM radio receivers are quite nice kits and it was very exciting when the first student to successfully complete the receiver had radio 1 coming in loud and clear earlier this morning. As I mentioned, I have been trying my best to promote amateur radio into the syllabus and have had a good response form the ICE students towards the hobby. In today's lesson the students finished assembling a home brew multi band dipole which had elements cut for 20m, 17m, 15m, 12m, 10m and the 2 meter band. 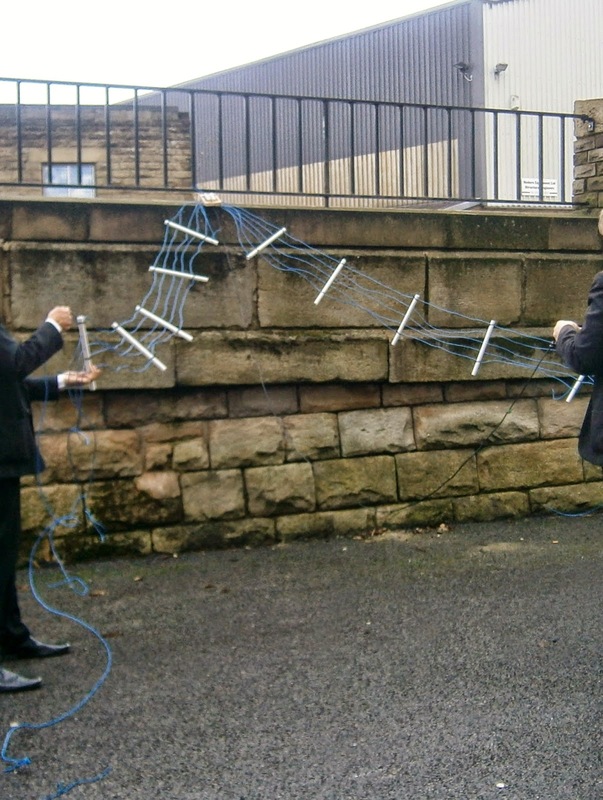 The students rigged the dipole up as a temporary installation about 2 meters above the ground, I had brought my antenna analyser allowing the students to check the elements were resonant on the dedicated bands, the rest was up to me. I hooked up my YAESU FT-817 which had been recently repaired with a new bnc socket fitted and two new PA finals, all courtesy of LAM Communications.